Souped-Up Food Production: The Next Big Thing? Humans have needs, but we need some things more than others. Back in the 1940s, American psychologist Abraham Maslow famously classified human needs into a hierarchy, often shown as a pyramid. At the foundation are our physiological needs: air, water, food, etc. Only when these needs are met can we reach upward to more and more refined stages of material, intellectual, emotional, and spiritual fulfillment. You could say, the very existence of civilization depends on the stability of the bottom layer. It’s thus no accident that a huge part of the economy exists to fill these basic needs. Even smart people can forget this. One person who doesn’t forget—and has used it to accomplish amazing things—is President Donald Trump. Last week at the White House, President Trump and his economic advisors met with a group of manufacturing company executives. They discussed how to create jobs and promote exports. After some opening remarks, the guests introduced themselves to the president. Here’s an excerpt from the official White House transcript. MR. FRAZIER: Thank you, Mr. President, it’s good to be here. Ken Frazier from Merck & Co., Inc.
MR. FIELDS: Thank you, Mr. President. Mark Fields, CEO of Ford Motor Company. MS. MORRISON: Thank you, Mr. President. Denise Morrison from Campbell Soup Company. I’m not making this up. President Trump’s first thought, on meeting the head of Campbell Soup, was to tell everyone he likes their soup. Thinking of Maslow’s hierarchy, this makes perfect sense. We know food is a basic human need. Soup is basic food. Trump knew this instinctively. He won the White House by convincing those on the bottom levels of Maslow’s pyramid that he could raise them up. Campbell Soup, the company, probably appreciated the president’s kind words. Last year, its share price finally surpassed a previous all-time high set in 1998. Soup is a tough business, apparently. 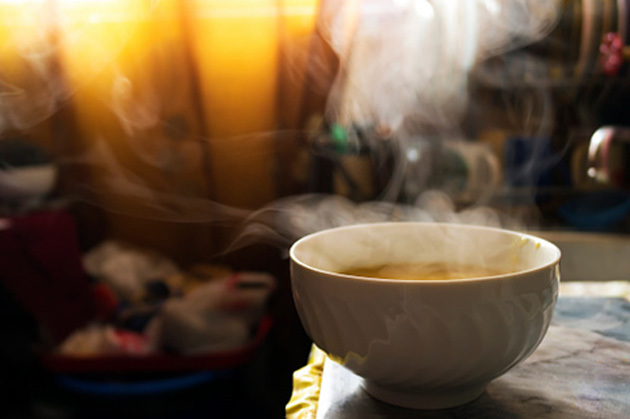 The global soup market shrank in 2009 and again in 2010. “Recent growth,” quipped a recent Quartz article, has been lukewarm at best.” In both 2012 and 2013, the market traded sideways, with growth of less than 1%. One problem is that Americans increasingly want fresh ingredients and fewer preservatives. Canned soup gives you the opposite of both—so Campbell Soup has had to rework its packaging and invent new, higher-quality products. The food-quality trend goes beyond soup, too. As the demand for organic grains has skyrocketed, food companies are filling the gap with imports from as far away as Turkey, Ukraine, and India. The foreign competition has slashed organic-corn prices by 30% and organic-soybean prices by 20%—a fact US farmers are not happy about. Imported food (or imported anything, really) is not what the Trump administration wants to see. Furthermore, suspicions abound that some of the imported grain isn’t really “organic” as the US government defines it. Yet another problem: American fruit and vegetable farms depend highly on immigrant labor, much of which is now under pressure to leave the country. It’s not clear if there are enough legal US residents (who are willing to do the work) to replace them. Looks like an economic conundrum. Consumers want higher-quality food, but we can’t get the components without importing them, which the government wants to discourage. Labor shortages don’t help. How do we square this circle? Silicon Valley sees an opportunity. 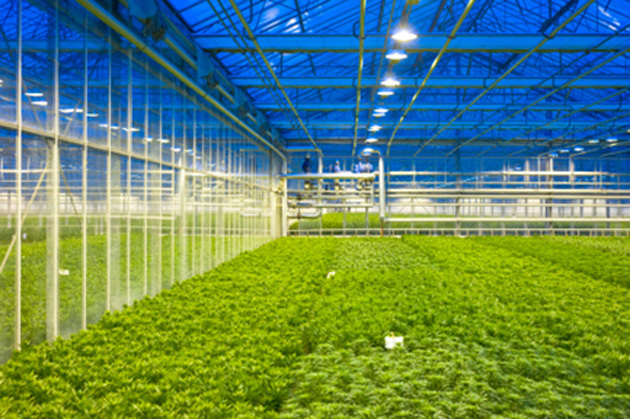 Last August, when John Mauldin kindly gave me a Thoughts from the Frontline guest appearance, I wrote about the way LED lighting could enable large-scale indoor farming. In a renovated warehouse by San Francisco Bay, plastic towers sprouting heads of lettuce, arugula, and herbs rise 20 feet to the ceiling, illuminated by multicolored LED lights that give the room a futuristic feel. A group of tech entrepreneurs and investors including billionaires Jeff Bezos and Eric Schmidt are betting this facility, 100 miles north of California’s “salad bowl” produce-farming epicenter, can redefine how vegetables and fruits are grown for local consumption. If all goes to plan, the 51,000-square-foot warehouse run by startup Plenty United Inc. will yield as much as 3 million pounds of leafy greens each year. In the coming months, the company plans to begin marketing produce bred for local tables rather than shipping durability. This is a prototype operation, still a long way from being feasible at scale. The article reviews some of the challenges. But if it works, the economic consequences will be staggering. Right now, our food often travels thousands of miles before it reaches us. Think of all the ship, train, and truck miles it takes to bring fresh produce to every US grocery store and restaurant. Now imagine if crops could grow in highly automated, energy-efficient local warehouses. We would have better, fresher produce that costs less and is less damaging to the environment. Meanwhile, other companies are working on lab-grown meats. A cow is essentially a machine that converts corn and water into protein. There might be more efficient ways to do this, or to create substances indistinguishable from actual beef. This won’t happen tomorrow or next year. But who knows, 10 years from now, indoor farming and meat production could be commonplace. 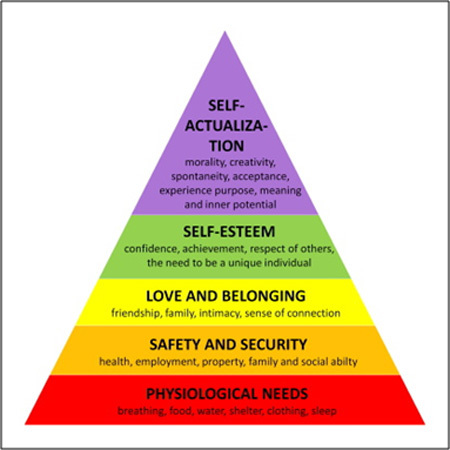 As you can see in Maslow’s hierarchy of needs, self-esteem and self-actualization—two things that make us distinctly human and have brought forth art, music, and other forms of culture—can’t exist without the lower levels supporting them. The ready availability of food is an essential part of allowing us to be fully actualized humans. Economics is about the ways we manage supply and demand, which means it is really about everything. But it’s first about fulfilling our most basic needs. The technology-driven switch from subsistence farming to commercial agriculture unfolded over decades. It let people live in cities and enabled the Industrial Revolution, which in time led to all of today’s technology. The coming change to the way we feed ourselves may be equally significant. It could happen much faster too. March 1, 2017, 12:24 p.m.
My concern of this farming is the uptake of minerals in the food produced. If not grown in mineral rich soil, how does the fruit or vegetable absorb minerals? We need these for health. You are behind just a little. The following companies have been shipping containerized system for a few years. Additionally, Village Farms have been in the hydroponic green house business for several years. I would expect that they would add LED to their systems soon. I saw somewhere in the past where there was a public company building and selling to several of these, but that was a deep search and I have not been able to replicate it. Feb. 28, 2017, 12:37 p.m.
President Trump probably made the remark he did regarding Campbell Soup because he eats and likes Campbell Soup. I would bet that he didn’t make a remark to CEO of Merck because he doesn’t take Viagra and he didn’t make a remark to the CEO of Ford, because he doesn’t drive a Ford. Other than that, why make a point about what Trump said to the CEO of Campbell Soup? You’ve already stated in previous articles that you don’t really like Trump, so why continue the put downs that serve no purpose what so ever? I would strongly urge you folks to read Trump’s book “The Art of the Deal” so that you will better understand him and what he is going to do. 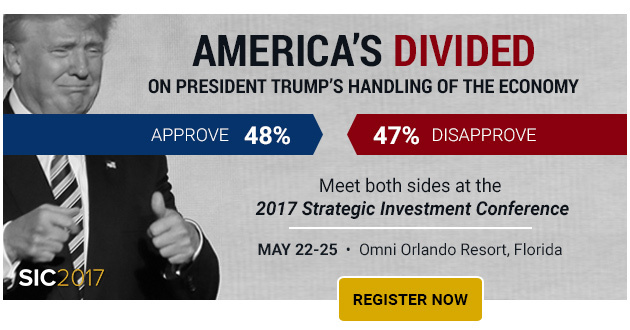 If you want to go back to the days of Presidents Bush & Obama, then just wait until 2020 and work like to hell to defeat Trump. Once Trump is defeated, the US will quickly become a more Socialistic government, assuming that ISIS or ISIL hasn’t created hell on earth here in the US.